It's no secret that the summer of 2015 has been a total disappointment in the UK. There was hardly any summer except for a few days of heatwave. It's been raining continuously and already the autumn coats are out. In the middle of all this dismal weather when we wake up one Sunday morning to find the sun out and shinning and the day not so cold, it is perfect day for an impromptu visit to somewhere nice and outdoorsy. 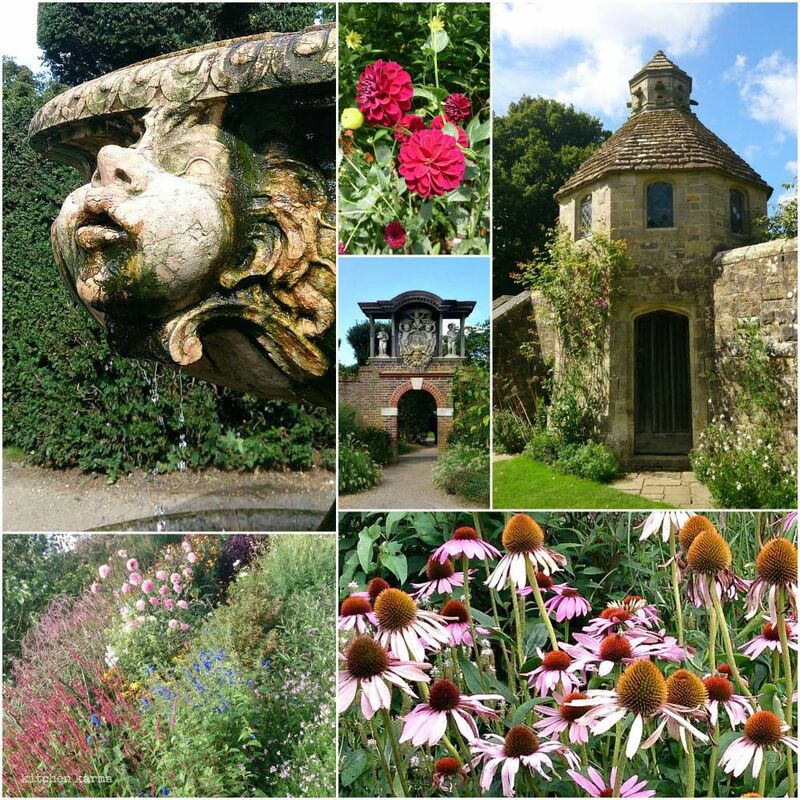 We checked the National trust site and fished out Nymans in Sussex High Weald. Situated on extensive parkland is a beautiful garden and the remains of the house. It was packed, most people having the same idea as us. It was lovely being out in the sunshine, exploring the extensive garden and the romantic ruins of the house. After we got back home mid afternoon we were thirsty and a little hungry. 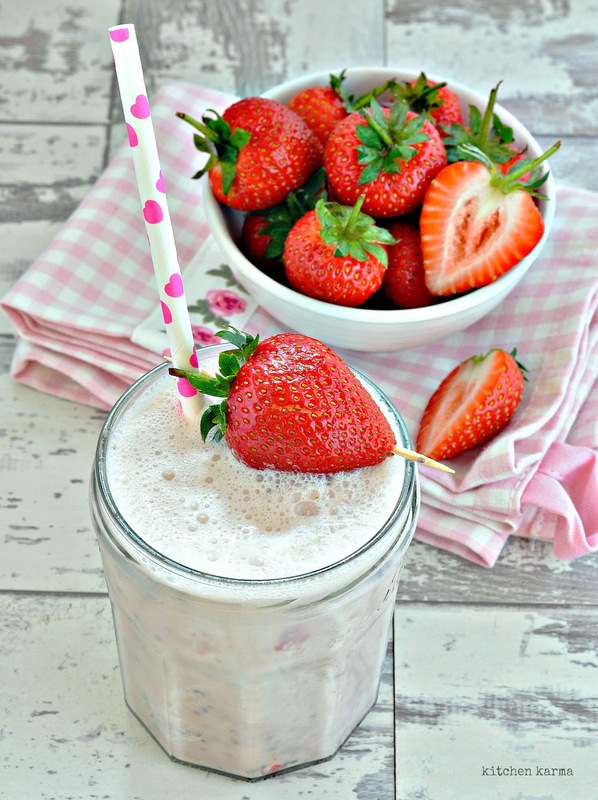 Since it was such a gorgeous afternoon I decided to whip up an indulgent strawberry shake. I used Alpo's Coconut Almond Drink instead of milk, there were some strawberries in the fridge and to give it that indulgent creamy smoothness decided to add one scoop of Haagen Dazs Strawberries & Cream ice cream to the shake. 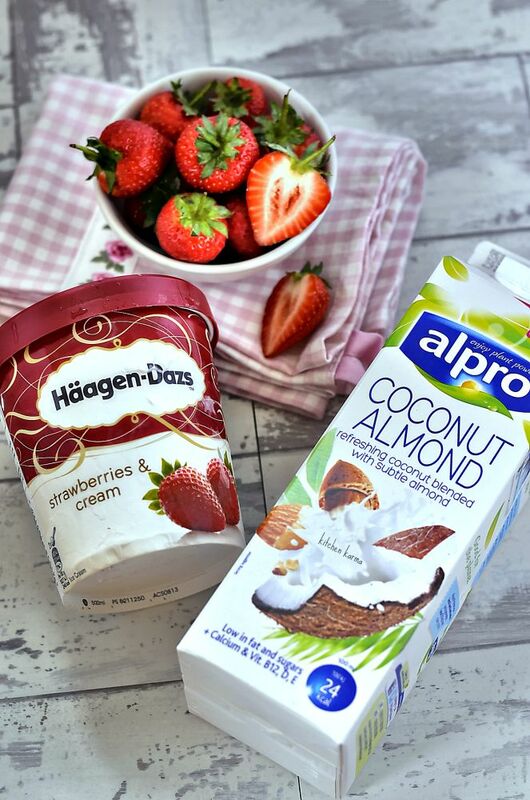 Now why did I use Alpro's Coconut Almond drink? I love Alpro's Almond Drink, so when they wrote to ask me to try this new one, I was a little curious. In Indian cuisine coconut is a regular ingredient and I know how heavy it can make a dish/drink. So wanted to see how this drink turns out. To begin with this drink has a lovely smell, there is coconut, you can taste it distinctly, but it does not overpower the almond drink in any way. It's my new favourite non dairy drink. I used strawberries simply because they were there in the fridge. Enjoying the British berries before they go out in autumn. The ice cream nicely complimented the strawberry shake. I had attended a Haagen Dazs ice cream masterclass last month where we were fed the strawberries & cream ice cream. Generally I almost always opt for chocolate ice creams, but this strawberries & cream one was so good that I was literally licking my spoon. It is creamy, not too sweet, and has real chunks of strawberries in it. It's a proper summer afternoon's treat. 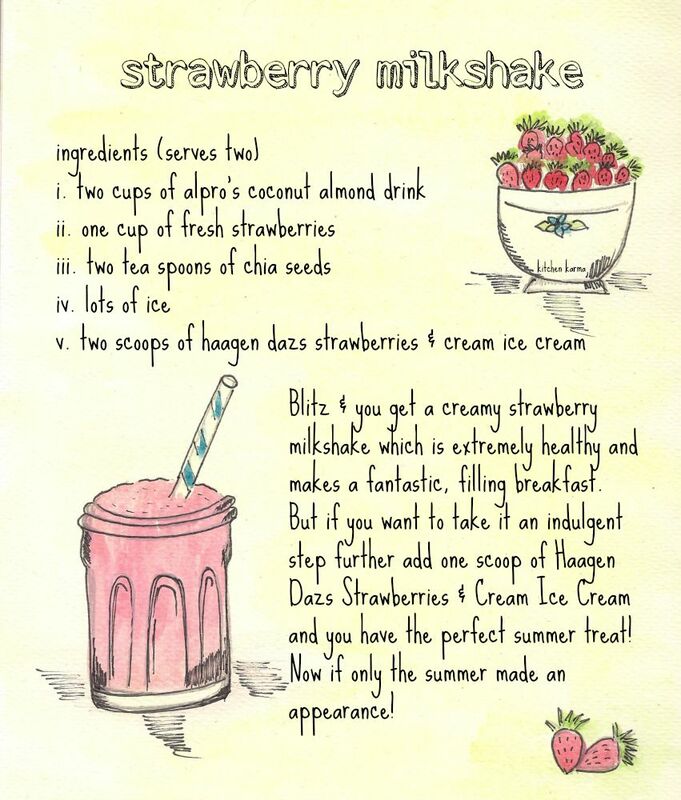 All these three ingredients came together to create a flavourful strawberry shake which was indulgent yet not too heavy. It's a perfect drink for sunny Sunday afternoons when I potter in my balcony tending to my plants. I threw in some chia seeds to make it a little healthy. The drink was pretty filling, it nicely tided us till dinnertime. Will I make this again? Yes in a jiffy, if only all our Sundays are this sunny! tomar post gulo porle mon bhore jay Suchismita. ato sundor sundor chobi. somehow amar dashboard e tomar page er updates aschilona. aaj thik korlum sob.